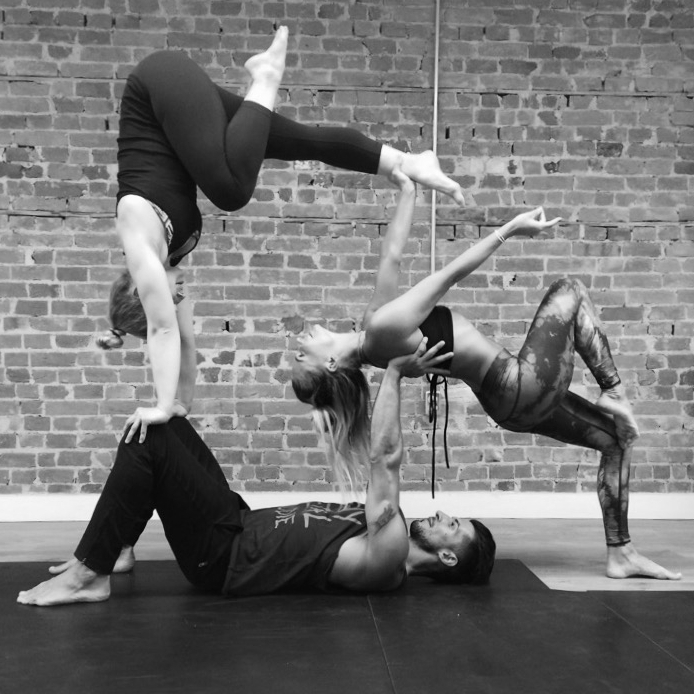 In this workshop we will connect foundational acro yoga postures into trios and quads! To start, we will warm up as an entire group, learning about subtle movements and how to move more intuitively when connected with others. We will then explore connecting mirrored postures with options to root into unique artistic expressions of each connective shape. We will close with a number of options to explore further unique pyramid postures. This workshop is designed to bring you on a journey with a comprehensive breakdown to safely explore the practice in alignment of connecting our movements and postures with synergy and confidence. ACRO TRIBE MAGIC! Here is some ACRO TRIBE journey inspo! Come play?